Want to know how you can increase your revenue by $18 917? But how is that done you ask? If you are anything like me, I just drop my car off at the mechanic and with a basic understanding know that it needs to be serviced or fixed. If the mechanic would start a conversation about how to change spark plugs and replacing filters it would be like talking to a wall. In the same manner, I want to help you get everything you need to know how your business can generate more customers using digital marketing strategies? My aim is to bring business talk and digital marketing together and explain it in plain English. 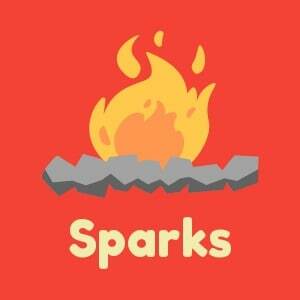 So from basics to “spark plug” technical talk; let’s go! Part 1 – An executive high-level summary look at how online marketing can increase your revenue by $18917. If you have not already, please download and read the marketing blueprint to see where everything fits in. You can download it from this page at cobusvanvuuren.com. How to increase your revenue by creating more leads and more sales conversions? Why Digital Marketing can help you with Lead generation and more Sales. In this website scenario, the site brings in 1000 visitors from various sources that click through to the website. This is based on content, authority, answering search intent and user experience. How many visits does your website get? The visitors convert via high-value contact points like newsletter sign-ups, contact us pages or product/service pages. Each visit is worth something as each visit is a potential conversion, but every click cannot become a conversion. 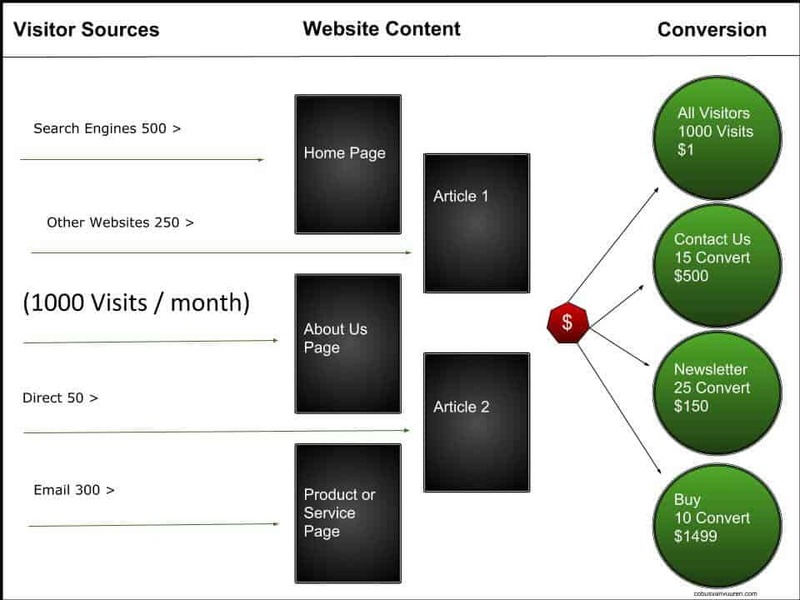 A revenue value for someone visiting your site is then assigned to each of these contact points on your site. A total of $27 240 in Revenue per month. How many visitors do you convert into sales? At this point in time, you are not happy with your revenue and want to grow your business. Increasing your visitors by just 30% means an increase in revenue of $8,172. And if you can improve the conversion rate across the board with just 0.5% that will mean an increase in revenue of $10,745. That is a total of $18 917 more revenue for your business. What would you do for an additional $18,917? How much more can you make based on your figures? Now that you know the importance of digital marketing and what it can mean for your bottom line lets go into how we increase visitors and conversion rates. The main goal for any business is to grow revenue and profits. A good marketing strategy should be able to get you to that goal. Implementing an effective marketing strategy can grow consistent visitors to your online assets. This passive form of traffic is the source of an increase in leads and sales. Now you may ask but how does this work? Well, I structured a whole marketing system around it called the “Hat-trick System” that can transform your business. If you want to ace your organic visitors, you need to knock down the three pillars of the “Hat-trick System”. To help explain I based the system around the analogy of starting a fire. The system consists of 3 processes that build onto each other like building a house with a strong foundation. The three pillar process will help you start an online fire of attention surrounding your business. If you can ace these three strategies, your business phone will ring off the hook and have leads coming in more than you can handle. So how do you start an online fire? Lets dive into the different process and make your phone ring like crazy and get the leads pouring in. 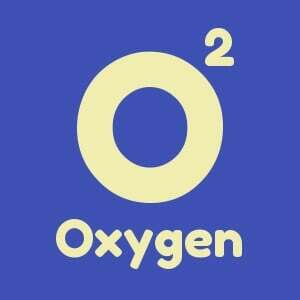 Oxygen is the foundation of life, and so is SEO to a great online marketing campaign. Search engines need to understand and make sense of your website and its content. The optimisation of all these elements is called SEO, or search engine optimisation. SEO is the Oxygen of your site. Improved SEO will lay the foundation to get more organic traffic to your site via search terms related to your product or service. This will, in turn, increase your visitors and leads. Converting them will increase revenue and growth for your business. 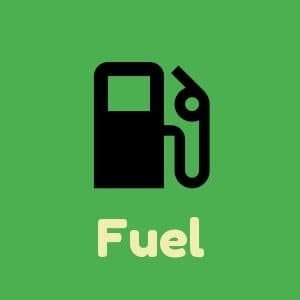 Content is the fuel for your products and services. Its the value you supply your audience with when they search for something. The primary goal of content is acquiring new customers. Secondary it will establish you as an authority and “go-to-guy” in your industry. The last part of the puzzle and the one that most struggles with is the spark that will set the fire alight. Unless you are a major brand publishing content online with hope and pray, method will not get you far. You need to promote your content te get it the attention it deserves. Especially with the time and effort that goes into it. Another good reason is to get votes and referrals from other sites. Votes you ask? Yes, search engines use a voting system to determine the value and usefulness of your content. The votes are in the form of links from other websites and platforms. The quality and amount of referrals are a factor search engines use to display your pages in search results. The better referral profile the better the performance in search results. That results in more visitors to your site. And as you know by now more visitors equals more chances to convert them into customers. Establish what your value proposition is. 1000 true fans list of high-quality outreach prospects with contact information. Implementing the “Hat-Trick System” can serve up great results for your business. If you need any help or want to ask a question feel free to schedule a call with me so we can discuss your business.